Okay, straight people, listen up. Gayness is not a lifestyle. It’s not a choice. It’s not a preference. It is a biological condition. A genetic manifestation. Innate. Something you’re born with. 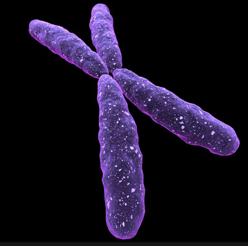 According to biologists the X chromosome and chromosome 8 seem to be heavily involved in determining sexuality. There is a great deal more to be learned but genetics is, without question, the key. Which means that you can no more “unlearn” gayness than you can change your eye color. You can’t wish away a genetic predisposition to baldness. Believe me, I’ve tried. Your genes are your genes, and that’s it. STOP CALLING GAYNESS A LIFESTYLE!